Feeling a little better so I thought I’d send you a few more videos from the RV show I attended last week in Tampa. The main video is of a little parade they had during the day with some of the entertainers that were there (to include my friends “The Green Guy”and “Rex not ftom Tex”) Look closely at that video and check out what’s pulling the covered wagon wheel. Didn’t think that animal was that strong! The second video is of a Scotish Bag Pipe Band and the 3rd video was just a local Hill Billy having fun. The last 2 photos I took just when getting to leave the show. It is a Class B + 2018 Airstream Atlas. (You can goggle it for more photos). 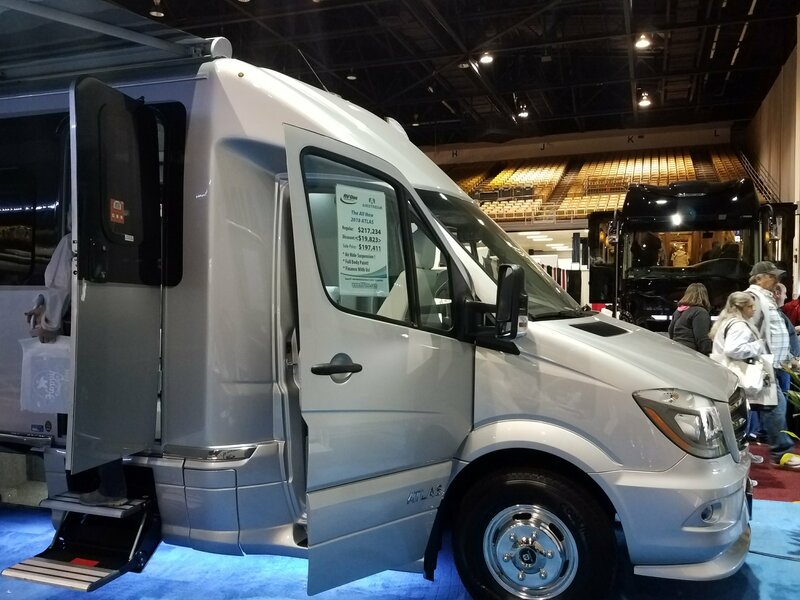 It is essentially a wider van with a Mercedes engine and something I could live in if I really wanted to down-size even more and be fully mobile to travel and park my home anywhere and be totally self-sufficient. It has a full bathroom with a dedicated shower and a cool queen size Murphy Bed, making the space very efficient. 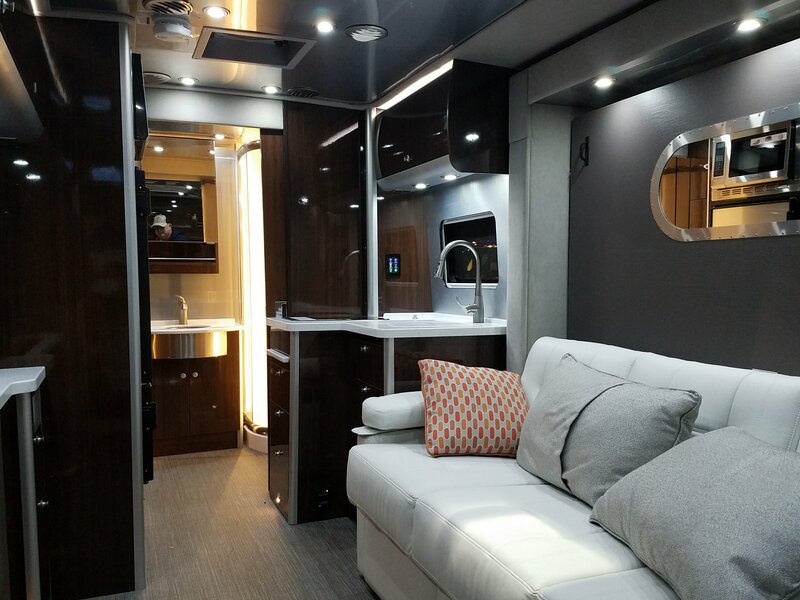 This particular RV is a little pricy although at over $ 210K, so before rushing into something like this, I would really need to do my homework to ensure it would be the best one for me. Again no rush to do anything just right yet, as my current home is sufficient for my present needs to spend 6 months on the East and then West coast of Forida each year. Eventually I’ll figure out what is best, when the time is right. glad to hear you are feeling a little better and there are fun activities! Glad to hear you are feeling better. Make sure you look after yourself and rest. That RV looked like something a hip hop star might have! Cool! Looks like a fun event. Take care and stay well. Paul and I saw an amazing truck camper at the RV show up here – you would have thought you were in a regular RV, not a truck camper. And at $60K, it was a relative bargain. Plus, you can take it anywhere. There are some innovative ones out there. I will continue to evaluate styles, fea tires and prices. No need to rush into anything for the moment into I figure what to do in the future. I think I really won’t figure all this out for at least another year or so. Thanks for stopping by Sarah.